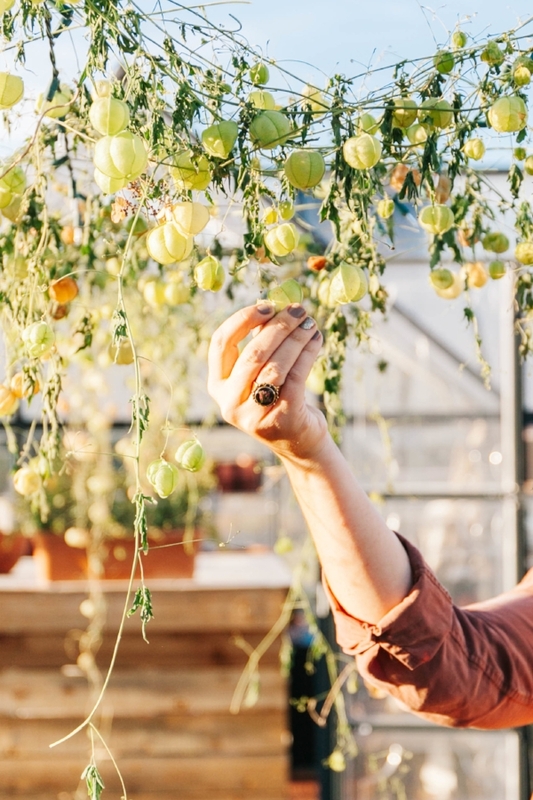 Through learning in her first season, a local flower farmer discovered that she’s just as passionate about preserving blooms and greenery as she is about growing them. While others ultimately wilt and shrivel in a vase, Laura Mowrer’s flowers live forever. After taking a floral farming workshop, adapting what she learned to our climate, and enlisting the help of her husband, Eric, to build infrastructure on their land, the Palisade native and her family planted their first seeds in 2017. “There wasn’t as big of a demand for cut floral in the valley as I thought. I realized I needed to do something different. It made me sad to see that these little blooms that I had nurtured from seeds were going to waste in my garden,” Mowrer says. Revisiting fond childhood memories of gardening and pressing flowers with her mother, and recalling the necklace with a single mustard seed set in resin that her mother left her when she died, Mowrer resolved to make jewelry with her flowers. “I’m a first-year farmer, so I’m learning as I go,” Mowrer says. In preparation for her second season, she decided to dedicate more garden space to species that work best in her jewelry, like dusty miller, baby’s breath, miniature daisies, and various other hybrids that produce smaller blooms. Though she does not grow or arrange flowers for weddings herself, Mowrer transforms them into timeless keepsakes to suit each couple’s style. Preservation and display options include 3-D freeze-drying of bouquets for display in shadowboxes or glass cloches, pressing and framing flowers, and using the flowers for custom jewelry pieces and sets. She loves creating sentimental pieces that her clients will proudly display and wear.